If you wish to make copies of jazz ensemble, concert band, and string orchestra conductor scores for adjudication, click here! Our newest 2019 Jazz Ensemble and String Orchestra recordings are now available. Our 2018 Jazz Ensemble and String Orchestra recordings are also available. This book with MP3s addresses articulation and style situations that are commonly found in jazz music by introducing a set of guidelines that can be used to make decisions regarding the treatment of notes and rhythms in the swing style. 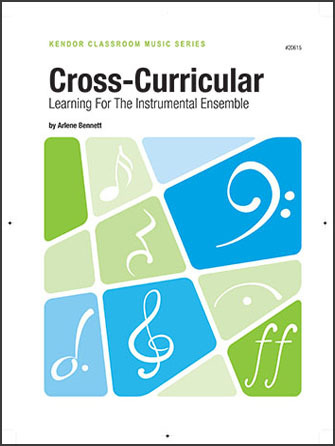 It includes exercises and catchy tunes that can be used to sound more stylistically accurate and authentic, which makes this a valuable resource for directors, individual students, combos, and big bands. Players will see immediate improvement in jazz articulation and style performance. Kendor proudly announces the release of this exciting series The Power Of Two by Doug Beach and George Shutack Duets are a great way to learn many of the skills necessary to become a successful musician. In jazz, duets are especially effective when performed with a rhythm section. These 12 easy-medium level jazz duets include a variety of styles, tempos and harmonic progressions and canall be performed with the accompanying rhythm section MP3 tracks.The parts are fully interchangeable among the various instrument editions, making these books ideal for lesson groups. The most exciting feature of these books is that there are 4 downloadable MP3 tracks for each duet: an individual can play either duet part while the MP3 plays the other part; two players can practice playing both parts along with the rhythm-section-only tracks; and a player can also work on improvisation skills by playing along with the rhythm-section-only tracks. A full performance track is also included for listening purposes. Over 2,000 Kendor products are now available both as physical products and also as digital downloads. When viewing a Kendor edition on our site, the products with a digital option will include a button labeled "Digital Download". By clicking on the button, you will be seamlessly transported to sheetmusicdirect.com where you can download a digital copy. We will continue to add products to this service often, so please check back again and again! If you are a music dealer and would like to sell our products digitally, please contact our sales department. 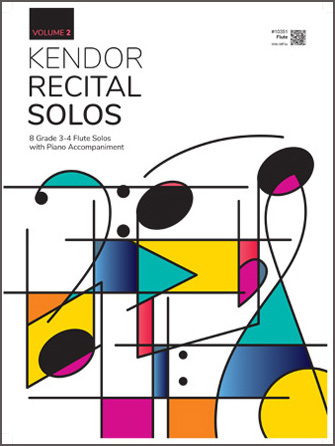 Since 1954 Kendor Music has been on the forefront of publishing educational editions for jazz ensemble, string orchestra, instrumental solo & ensembles, and books. We are the exclusive distributor of the Doug Beach Music catalog, and distributor of Sammy Nestico Music. NOTE: All prices listed on this site are retail prices in US dollars. Prices and availability are subject to change without notice.